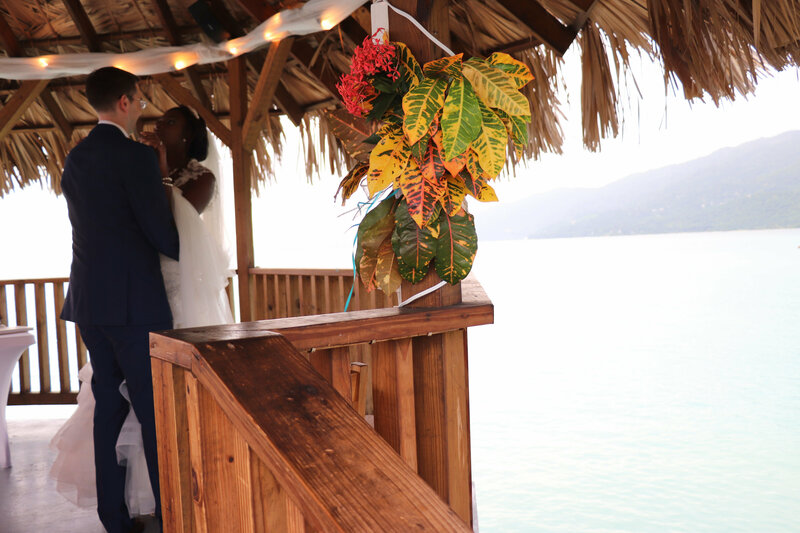 The setting is divine, the ocean is turquoise, the sky is blue and you and your loved one are in the Gazebo surrounded by the sea saying your vows! Yes, this is the way they do it at Luna Sea Inn. They will discount the room for the bride and the groom, then add some special touches such as fresh flowers in the room, towel art on the bed in a heart shape, and some chocolate on the pillow.The wedding packages are complete, affordable and customizable and they take care of the hassle for you. Upon reservation of the date they require a 20% non-refundable deposit with 50% due six months prior and the remainder three months prior. All but the deposit is refundable up to 30 days. 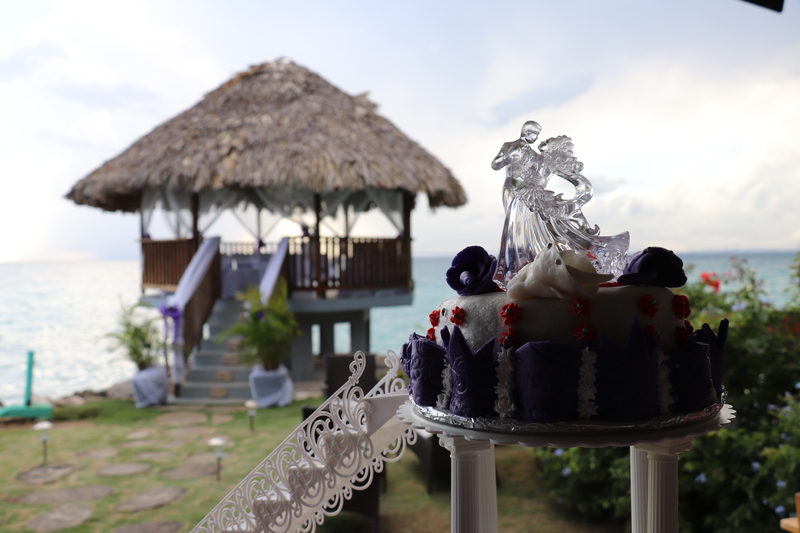 There are many reasons to consider Luna Sea Inn as your wedding venue. VIP treatment from beginning to end including free wedding consultation plus onsite wedding coordinator. This is where Southern hospitality meets Jamaican charm. Unlimited customization: because they are a small hotel, there are no rules written in concrete. Want a special flower or a unique color they can do it, want balloons…no problem, need bubbles…blow away. If you can conceive it, they will do their best to make it happen. Unique Venue from the most romantic, thatched roof gazebo to the beach to the lawn by the sea, to the courtyard with the pool under the stars, it is all up to you. Have the wedding in the gazebo then off to the beach for cocktails and finish with dinner in the courtyard. Or do it some other way. The property is yours for this special event! Chef Vinton Lofters, the man with thirty years of experience in fine dining is here to create a special menu just for you. Try a lobster strudel with coconut butter for an appetizer. Want some spice? Consider the jerk chicken breast on candied plantain with fresh vegetables. Go local with escoveitched fish or curried goat. You will meet with him in person or on the phone to create your own unique menu. Fun is the mission statement at Luna Sea Inn. Fun for you, your guests and the staff. The staff is hired for their attitude and their smile, then they train the skills that they need. A wedding for just the two of you. Private and intimate for your day. Sailing excursion (weather dependent) for bridal party and six guests. Please contact us for a free consultation, list of optional add on’s including meals, DJ, live music, transportation, wedding cake prices, centerpieces, make up, hair dressing, massage, mani/pedi, flower girl basket, cake knife, unity candle, ringbearer pillow, videography, etc. Let us know what you want and we will arrange it. 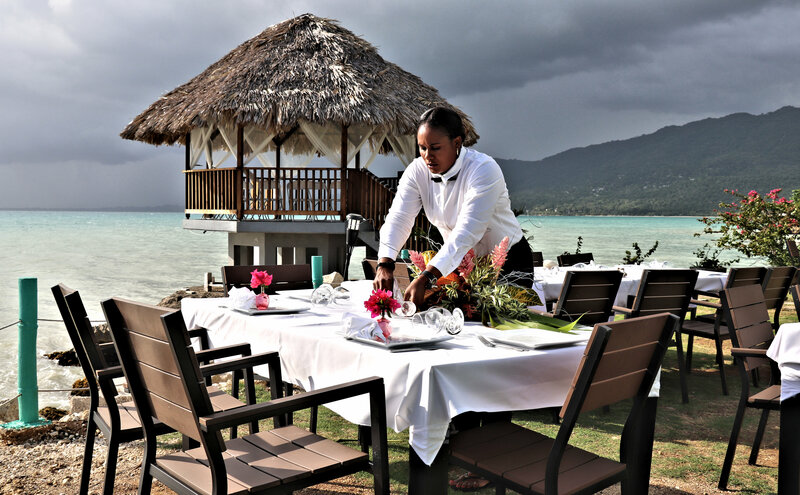 Special farm to table trip with Chef Vinton Lofters starting at market then on to Luna Sea Inn for fruit rum drinks followed by a cooking demonstration and dinner or lunch in the gazebo. Can you think of a better or more beautiful place to spend your special day? 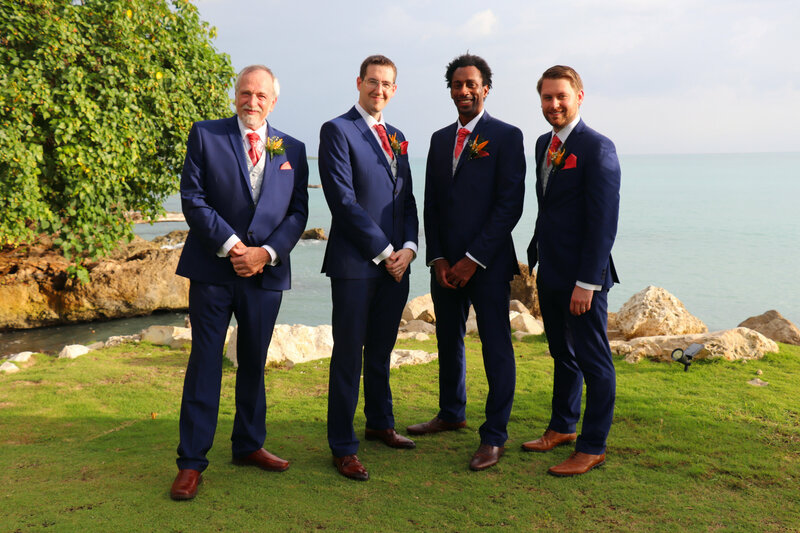 Well, contact us at Jubilee Travel and we will arrange everything to ensure your day is perfect!